Our Schools Membership and Support Officer, Lincia Daniel, has penned a blog for the Research and Education Space (RES) about our work supporting Shakespeare in schools. ‘At Learning on Screen we’ve launched a new project for schools called Digital Shakespeare. 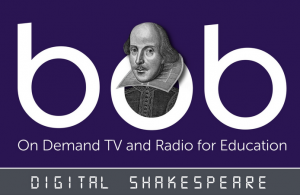 Building on our expertise in supporting the education sector to access and use the moving image and sound, Digital Shakespeare will give a total of six London schools (two primary, one special and three secondary) access to our video on demand platform, BoB, for a year. Read the full article on the RES site.